There are worse things you can find in the woods. As summer turns to fall, woodland and meadows the world over play host to one of nature’s more orbicular idiosyncrasies. It is large, round, white and has a distinctly extra-terrestrial appearance. 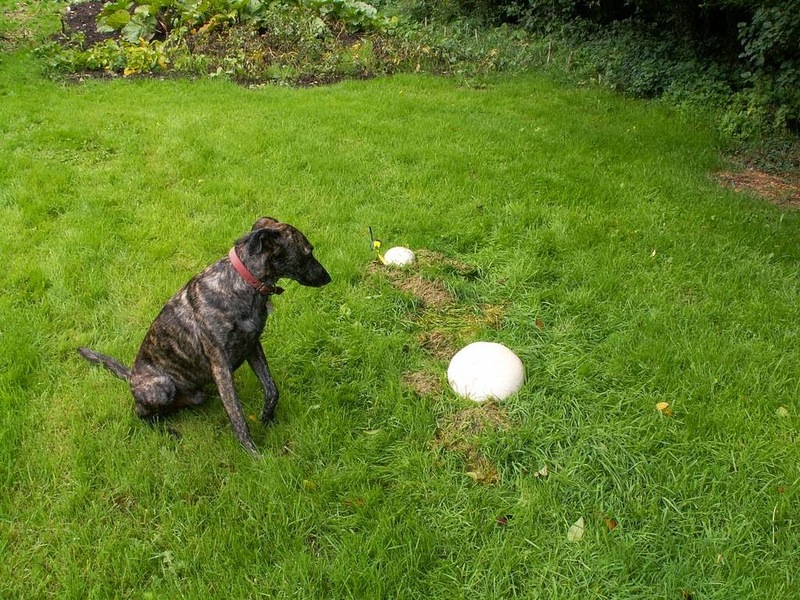 Yet the giant puffball is very much of this world, albeit one of its stranger fungal denizens. It can also make for a tasty meal. 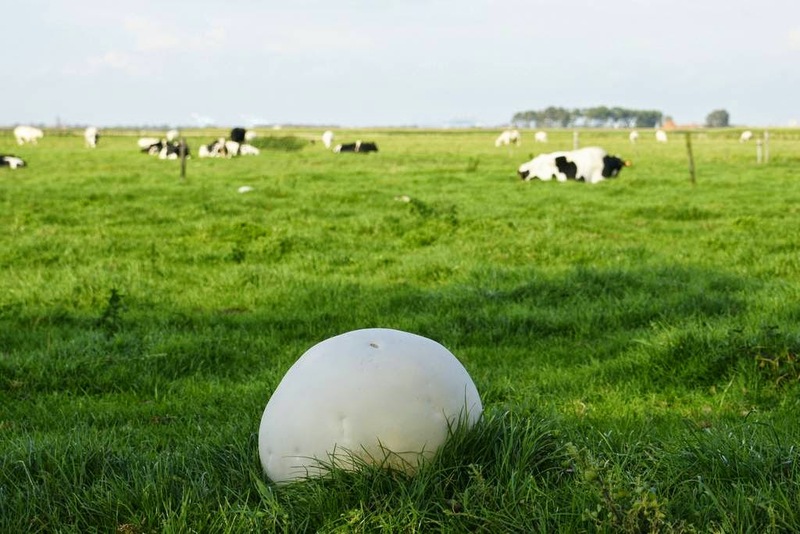 As much as anything else the giant puffball is noticeable and notable by its unexpected and sometimes astonishing size. 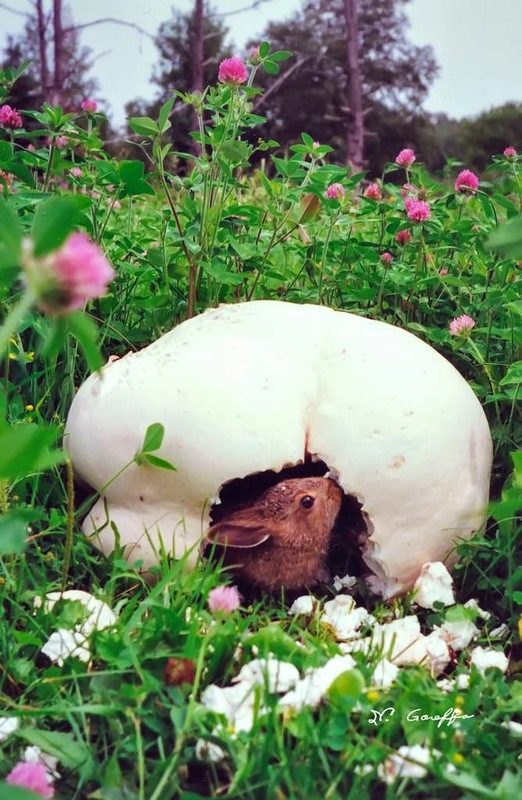 It has a distinct lack of camouflage advantage and can become a meal – not to mention a temporary home – to any passing herbivore such as the rabbit above. Yet although easy prey to animals its structure is immensely strong. 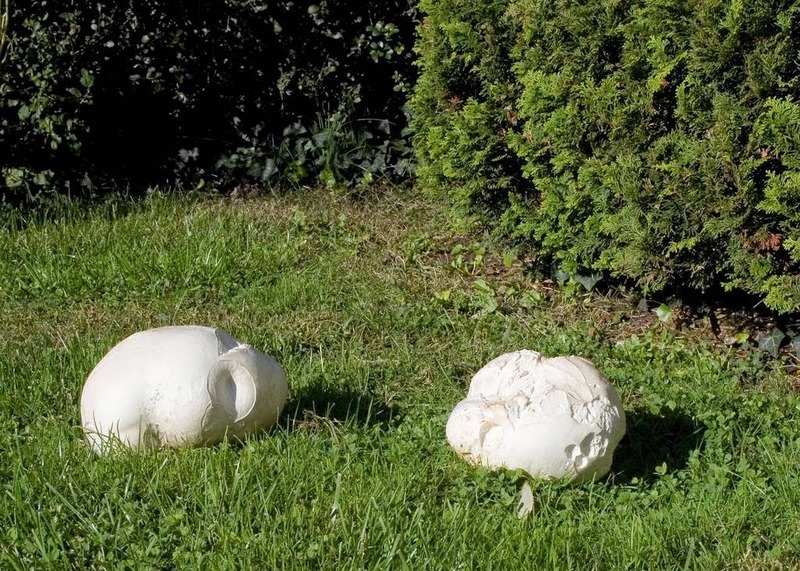 Giant puffballs have been seen to push up slabs of asphalt as they develop, such is the powerful forces generated by their growth. Their rate of growth is also phenomenal. 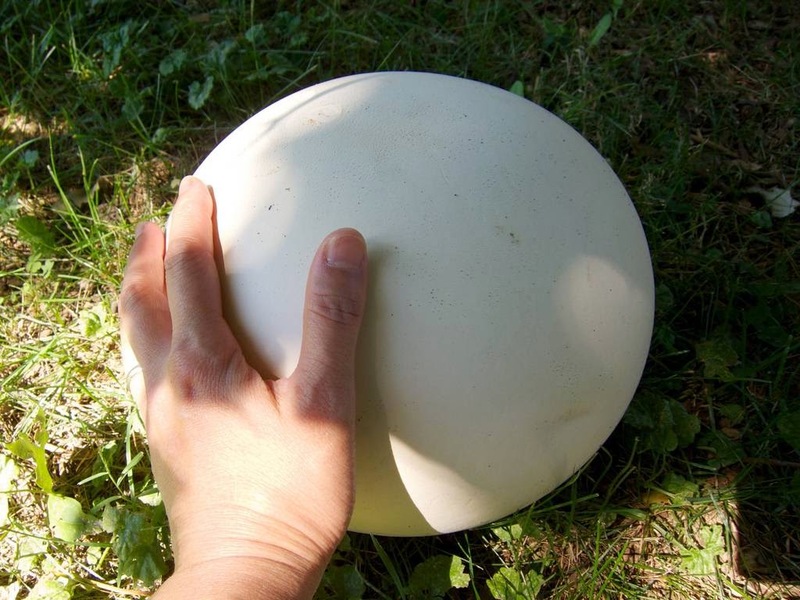 The fruiting body of the giant puffball can reach its largest size within a week of the beginning of development, given optimum conditions. 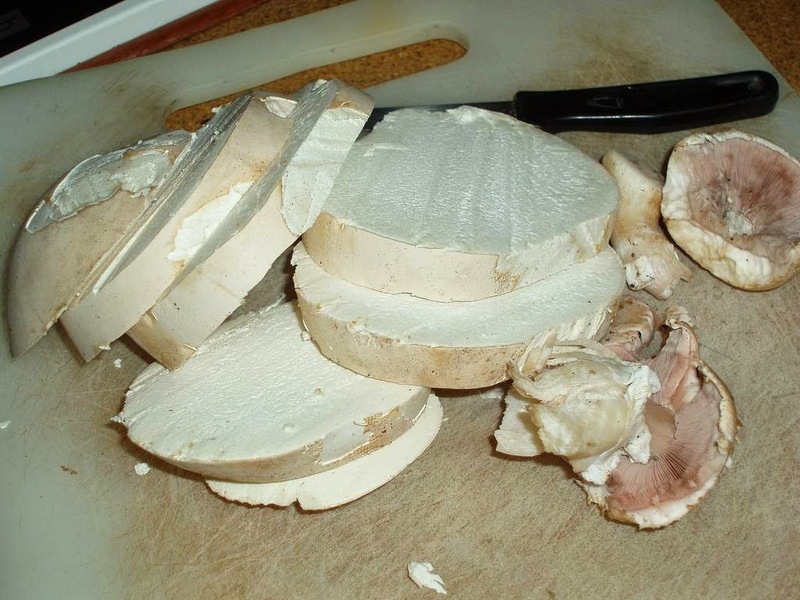 It is at this point – and for not much longer – that the puffball is edible. Once it matures then it becomes something that will give any average person a severe stomach ache to say the very least. Yet while it stays pure white inside you can be assured of a good meal from this peculiar harvest. 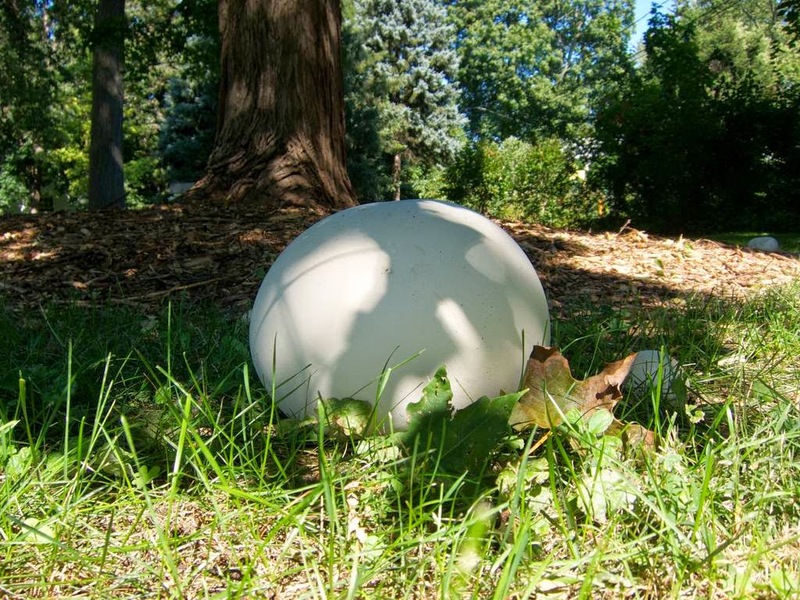 Legends abound about the size that some puffballs can achieve yet most grow to be between 4 and 28 inches in diameter (approximately 10-70 centimeters). That is hefty enough but a good number grow larger and some have reached six feet (over 150 centimeters) in diameter. They are heavy too. One this size can easily weigh in excess of 40lb (over 20 kilograms). As it matures the interior turns a greeny-brown color as the spores are readied for dispersal. 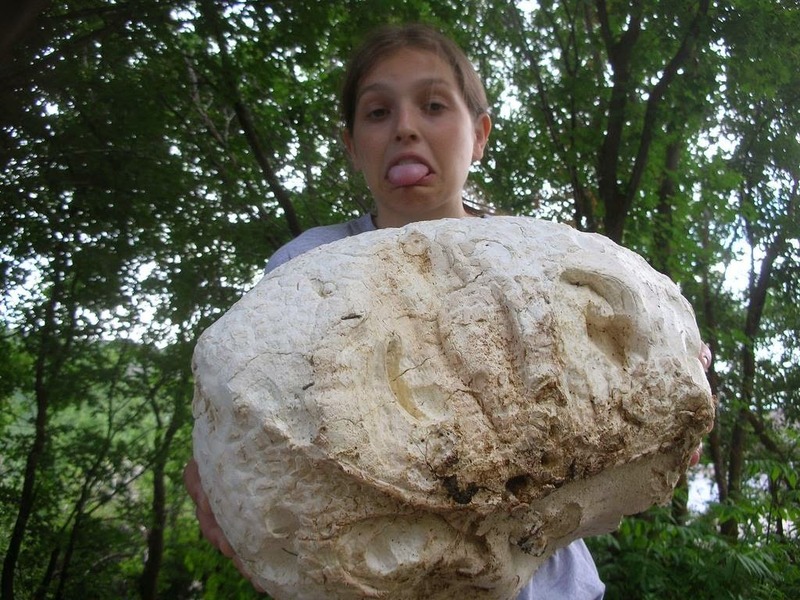 Unlike most other fungi, the reproductive spores of the giant puffball are contained in its interior. They mature within before they are exposed to the air and the elements without. There is no forced discharge either, which is probably just as well. Can you imagine one of these giants exploding as you walk past on your Sunday afternoon amble through the countryside? Uncle Fred would probably have a heart attack and expire on the spot. 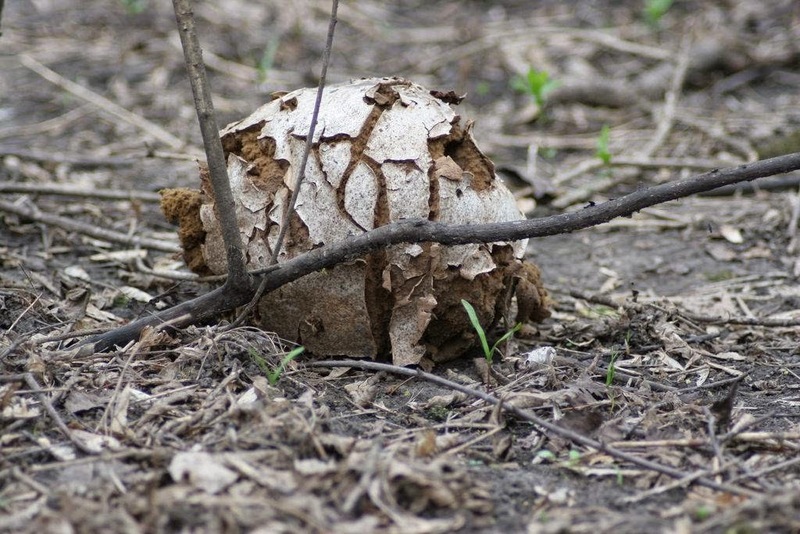 Instead, the giant puffball relies on the very elements from which its spores have been hidden for the preceding weeks to do the job for it. The wind and the rain will disperse the spores and, as we have already seen, local wildlife will assist if they don’t eat it first. 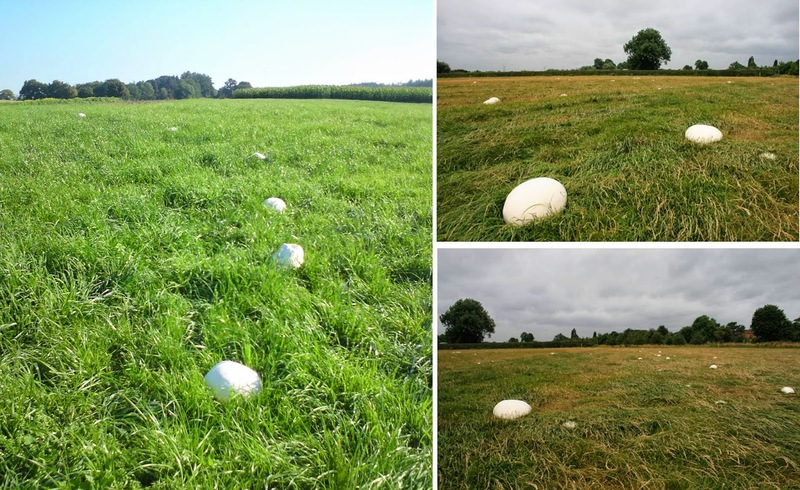 As each puffball can contain millions of spores so a large number can be sacrificed in this way to ensure that the population is maintained. If each spore survived we would have a fungal ‘epidemic’ on our hands which would make the average tribble plague look insignificant in comparison. 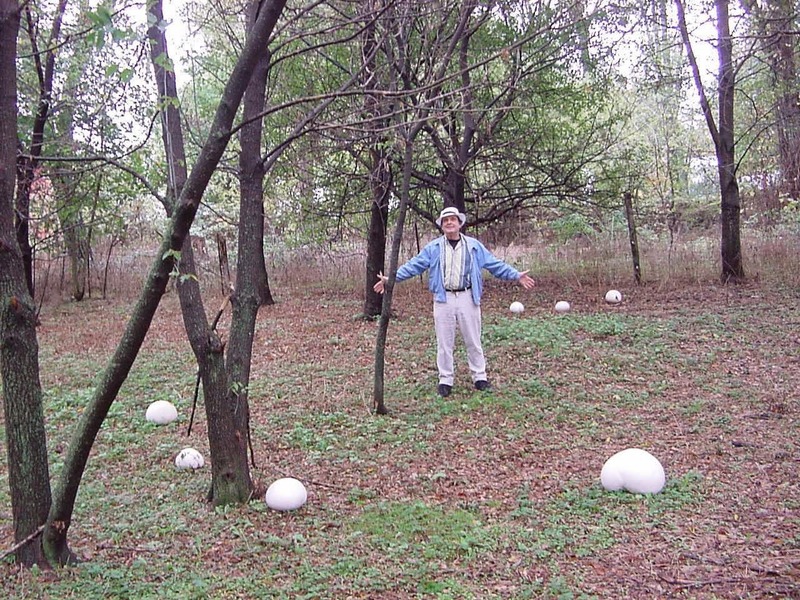 Occasionally, if you are lucky, you can come across a colony of puffballs (this is also known as a fairy ring though goodness knows these fairies must be of a particularly galumphing variety). Complete circles are unusual, however. 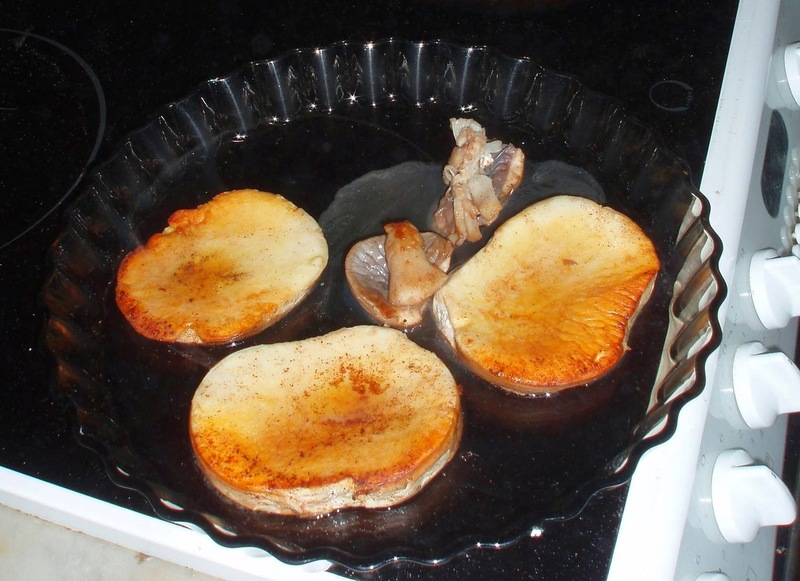 If you think of rings of fungus on bread you will get the picture. 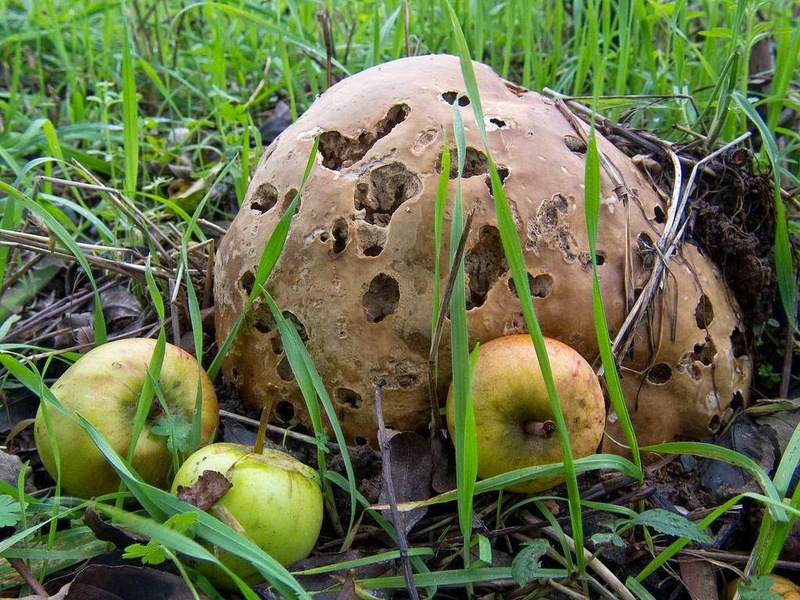 With a slice of bread, the surface is flat and uninterrupted: the fungus has nothing to stop it spreading from its point of inoculation at the center of the ring. The countryside rarely comes like that. 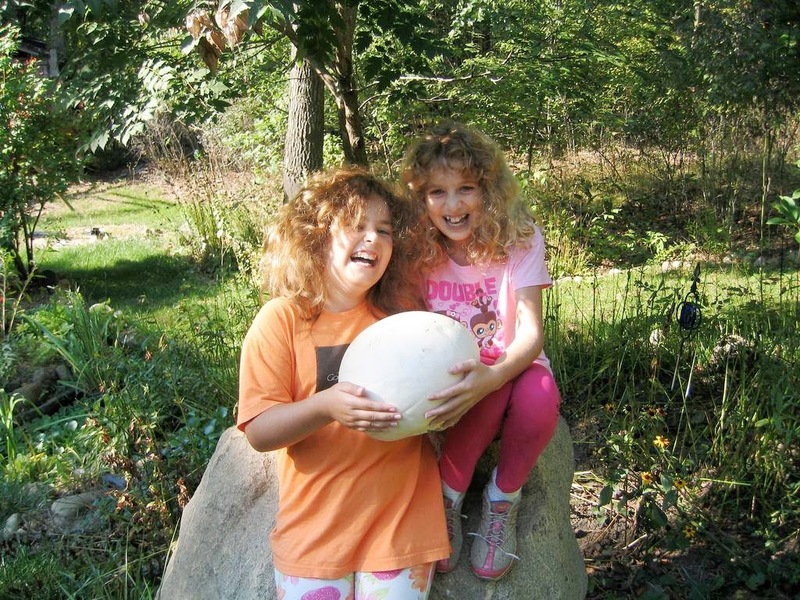 Little did the girls suspect that the giant puffball they had just discovered was in fact the just-about-to-hatch egg of a particularly vicious raptor. Yet life can be lived without fingers. 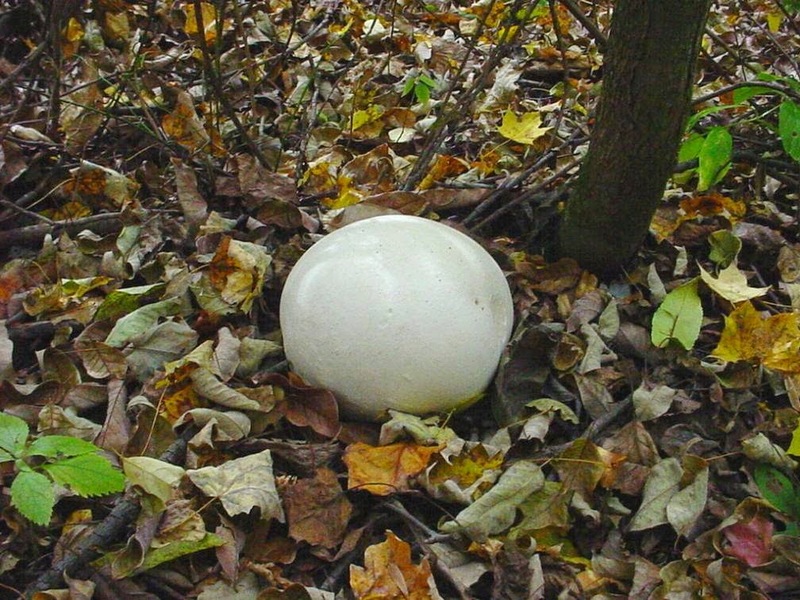 The giant puffball is not considered rare in countries like the US and most of Europe (although some countries, Poland and Norway included, protect it). That means that if you find one you can harvest and eat it. 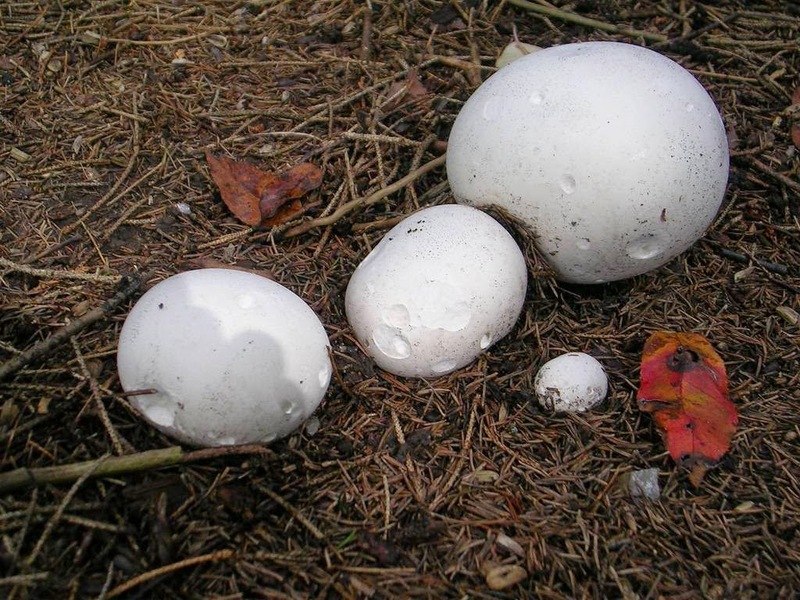 Take care that it is not a false puffball which, just like its prophetic counterpart, will leave you disappointed and with a bad taste in your mouth. 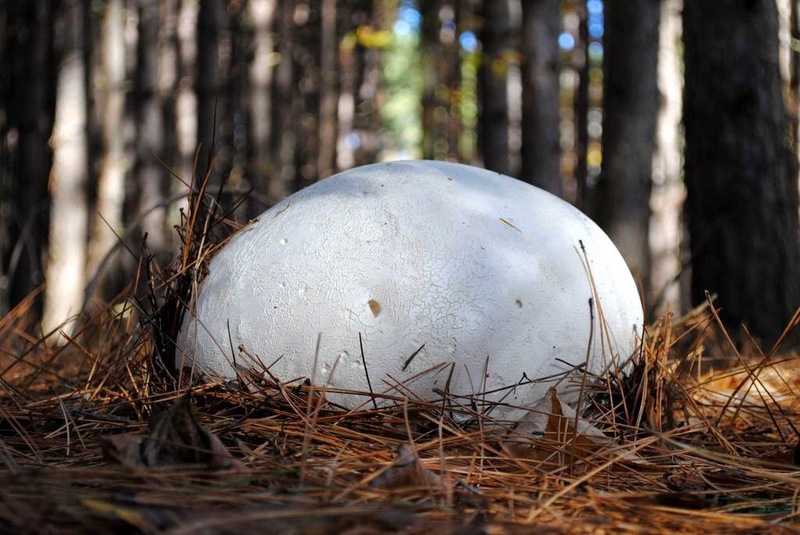 Most puffball connoisseurs recommend cutting it in to strips, dipping in egg and covering with bread crumbs before frying gently until golden brown. 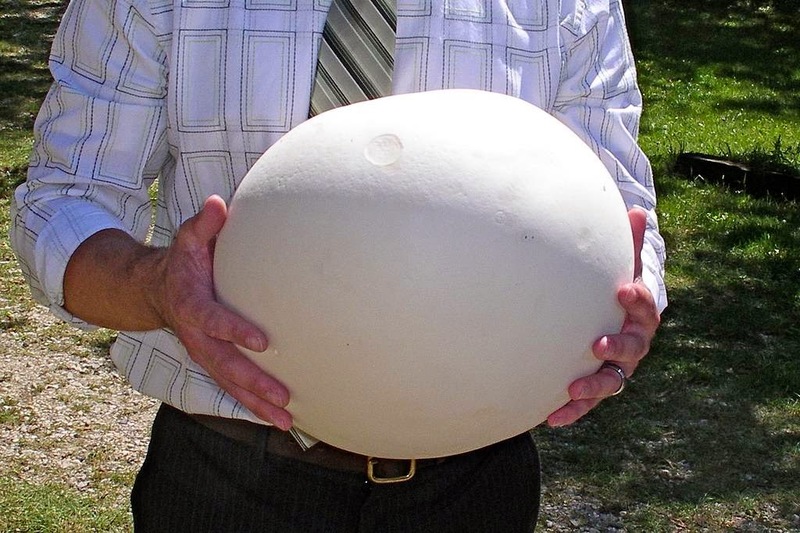 If you like tofu or melted cheese you should like the giant puffball. Or you could just leave it where it is, to its own natural devices. What was abundant once may not be tomorrow if we unreasonably impede its lifecycle. After all, when was the last time you enjoyed passenger pigeon pie?